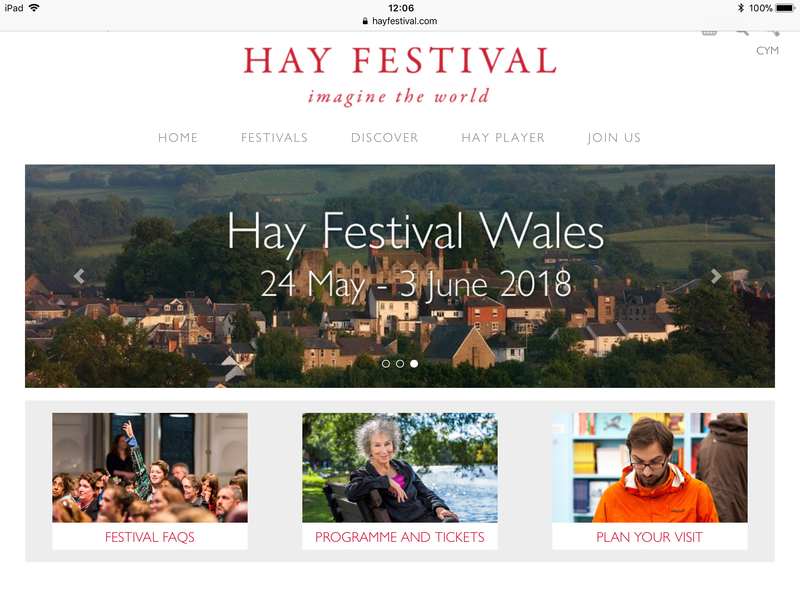 Invitation to appear at the Hays Festival……. | Which me am I today? Invitation to appear at the Hays Festival……. 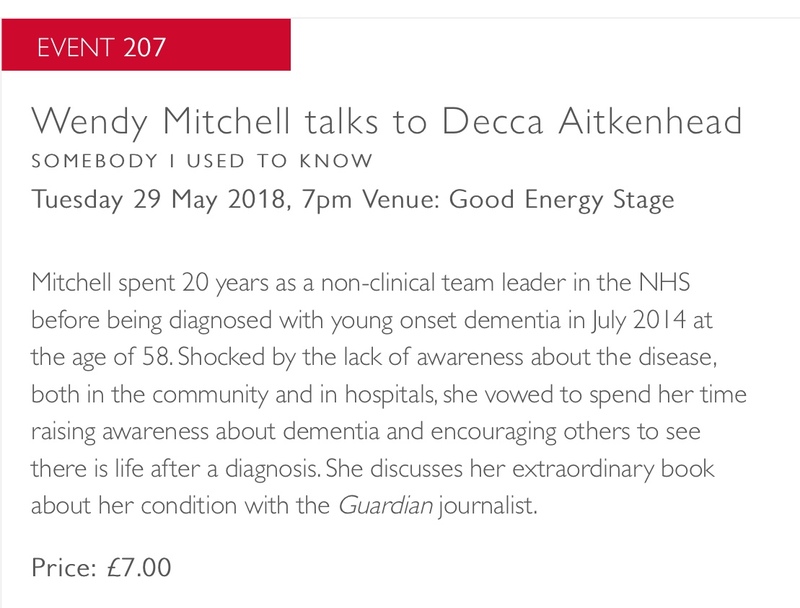 So imagine my amazement …….the first chance I have to go and I’ve been asked to go on stage and talk about my book, Somebody I Used to Know, for an hour with the wonderful Guardian journalist, Decca Aitkenhead……who would have thought…..
Amazing………maybe I’ll even see some of you there……..
More details can be found on their web site…. 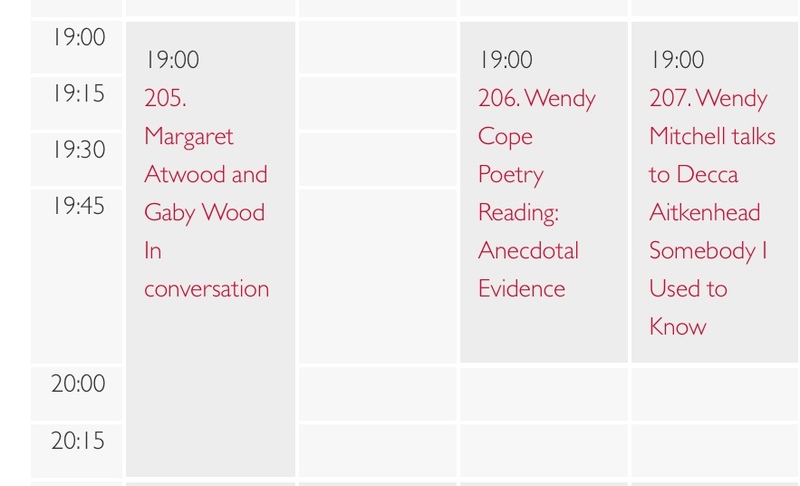 I’ll also be at Bradford Literary Festival on the 1st July with Professor Murna Downs, Neurologist and author Jules Montague, and the wonderful author Simon McDermott, son of Songaminute man……. and finally at the Festival at the Dukes THeatre in Lancaster, on stage with Guardian journalist, and founder of John’s Campaign Nicci Gerrard – Thursday 17th May at 7.30pm……. Now who would have thought I’d be writing a blog saying all that……amazing what new opportunities can come your way, even with a diagnosis of dementia……….motto of the day…. Wonderful, Wendy! What an experience!